The new WEKA SENSE thermal flow measurement system is the result of research at the Karlsruhe Institute of Technology (KIT) and development and technical implementation at WEKA. Take the opportunity as a member of the management team to exert strategic influence, develop production in a future-oriented way and leave your mark. The switches are used to extend the functions of the level indicator to become a level switch. They control contactors for pumps and valves or the switching position can be evaluated directly by a PLC or by computer inputs. 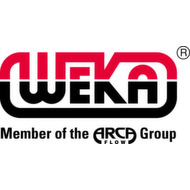 Learn more about the history of the WEKA and how WEKA has managed to reach the top of the world market! The perfect level measurement method for chemical and industrial applications. Optimized to ensure the highest possible degree of reliability in harsh environments, Marine TLIs ( Tank Level Instruments) are the solution for extraordinary tasks.